How do I know how advanced my pregnancy is? Estimated Gestational Age Based on Last Normal Menstrual Period. You can use this Pregnancy Calculator to estimate the gestational age of your pregnancy. There is one abortion facility in the entire state of West Virginia, at the Women’s Health Center in Charleston. This clinic is sliding-scale, and also accepts West Virginia Medicaid. For abortions performed in neighboring states, a list of clinics can be found here. 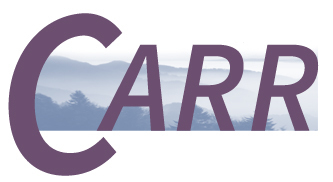 In most circumstances, CARR can provide you with a ride within a 2-hour driving radius of Southern West Virginia. However, special accommodations can be made for those in other parts of the state, depending on your circumstances and needs. You can call the Women’s Health Center at 304-344-9834 or 800-642-8670 for an appointment. In the State of West Virginia, women are required to receive “counseling” at least 24 hours before obtaining an abortion. You will be read a state-mandated script, which includes reference to abortion alternatives, abortion risks, pregnancy risks, and pregnancy support agencies. After this 24 hour waiting period, you may go to your appointment, during which you may view or decline to view the ultrasound. Parental consent is required for women under 18 seeking an abortion. Minors who are married, have graduated high school, or are legally emancipated are exempt from this process. However, if you do not wish to inform your parents, you may obtain a waiver from either a doctor not associated with the clinic or a judge. For more information, you can go here. Medicaid currently covers the cost of in-clinic and medical abortions. Otherwise, insurance does not cover the cost of the procedure. Without insurance, the cost ranges from about $550 for a medically-induced abortion (the “abortion pill”), to about $1100 (for women in the second trimester, which is not performed in the State of West Virginia). If you do not have funds to cover the abortion, WV Free can cover your costs. The Women’s Health Center can assist you with this. In some circumstances, CARR may also be able to cover the costs. First, you will meet with the doctor or nurse, who will give you an exam, a pregnancy test, and an ultrasound to confirm how far along you are. You will be counseled on your options, to ensure you are making the best decision for you. Medication abortion, also called medical abortion, using the oral medications mifepristone (Mifeprex™) and misoprostol (Cytotec™), is available by appointment to patients whose stage of pregnancy is between 4 and 10 weeks. The patient is given a dose of each medication to induce abortion. After receiving the initial medication, the patient returns home where the process is completed in privacy. Patients electing medication abortion services must be willing to undergo an in-clinic abortion procedure in the event that the medication abortion is incomplete. This is the most common type of abortion procedure. You will receive a medication to prevent cramping, and you may be sedated. You can elect to be awake but relaxed, or be put completely asleep. Sedation costs $150, and may be required, depending on how advanced you are and your circumstances. You might also be given a medication to open your cervix. they may also use a small surgical tool called a curette to remove any tissue that’s left in your uterus, or check to make sure your uterus is totally empty. Once your abortion is over, you’ll hang out in a recovery area until you feel better and are ready to leave. This type of abortion only takes about 5 to 10 minutes. But your appointment will take longer because you’ll need to have an exam, read and sign forms, and stay in the recovery room afterwards for up to about an hour. Generally, this type of abortion is painless, although you will experience cramping afterward. Most likely, you will be able to resume your usual activities the next day, but you may continue to have cramping, spotting, or bleeding (similar to a period). If your bleeding is heavy, you should use pads instead of tampons. What are West Virginia’s state restrictions on abortion? A woman must receive counseling (which can be completed over the phone) at least 24 hours before the procedure. Minors must either notify their parent, or obtain a waiver from a judge, before they may receive an abortion. An abortion may be performed at 20 or more weeks postfertilization (22 weeks after the woman’s last menstrual period) only if the woman’s life is endangered, her physical health is severely compromised or there is a lethal fetal anomaly. However, the Women’s Health Center is only able to perform abortions up to 16 weeks.